With the ever-increasing numbers of superb CKJ ivory-ticklers doing well in international competitions and producing high quality recordings, and after having discovered www.yesasia.com and it's large trove of Korean market releases to augment the ongoing flood of Japanese market releases available from HMV Japan, Amazon Japan, and CD Japan, I figured I'd devote a thread to such artists. Mostly, posts will focus on younger artists and/or artists new to me, though some more established artists may make an appearance from time to time. 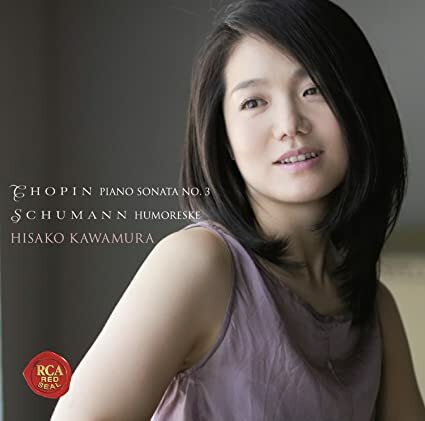 I'll start with Hisako Kawamura's 2011 release of Schumann's Humoreske, Chopin's Third Sonata, and Liszt's Widmung as an encore. (In this case, I picked it up for under five bucks as an Amazon Add-On item.) Born in Japan, but mostly raised, educated, and now domiciled in Germany, Ms Kawamura counts Vladimir Krainev among her teachers (this album is dedicated to him), and she plays a wide array of core rep, as on this disc. Kawamura starts off with the Schumann. She opens with a measured tempo, allowing each note and chord its due, but she quickly plays with more gusto. The Florestan side of the music is a bit more pronounced, as the quieter playing, which delicate and gentle, sounds a bit cool rather than dreamy. This does dampen the contrasts a bit, and her dynamic nuance does not match my preferred Schumann pianists, but there is much to enjoy here. The Chopin starts off with more intensity, but of the controlled variety. This is not an unabashedly virtuosic recording like Weissenberg or Argerich, but one where Kawamura allows herself a bit more relaxed approach to dynamics and tempo, both of which are judged very well and her playing is quite fluid throughout the opening movement. The Scherzo starts off energetic and articulate, but Kawamura backs way off in the middle section, then gently eases back into the opening material, before thundering out the coda. Pretty nifty. The Largo starts where the Scherzo ended, just slower, then transitions to some slower and much softer playing. Kawamura seems at home here, playing with beauty and expressiveness without tipping over into schmaltz. Kawamura plays with more force and drive in the Finale. While dynamics and overall forward momentum are excellent, the playing lacks real rhythmic snap. That's more observation than criticism. I can't say that Kawamura matches the best in either work, but her playing is compelling enough so that I will not pass up opportunities to hear her in other repertoire. Sonics for the RCA Japan release, recorded in the almost always superb sounding Jesus Christus Kirche in Berlin, are up there with the best Japanese recordings - that is, state of the art. Ran Jia's major label debut. Who is Ran Jia, you ask? She's a twenty-seven year old pupil of Gary Graffman, and daughter of composer Jia Daqun. She appears to have a thing for the music of Schubert. Her first, non-major label recording was of the D664 and D960 sonatas, and just a couple months back (March 2017 as of the time of writing), she presented a Schubert cycle for her Berlin debut. Somewhat like with Hideyo Harada's disc, I sort of judged a book by its cover, and foolishly assumed from the glamour shot on the cover, and the other glamour shots in the booklet, that Ms Jia would play soft and tender. Nope. Fortunately, I enjoy her playing more than Harada's. The disc opens with D958. It's evident that slow, deeply contemplative Schubert is not Jia's style. She plays with more speed and grit. Her Schubert is harder, though her playing can be quite beautiful at times. It's close to a steel fist in a velvet glove approach. Let's say anodized aluminum in comfy suede for Jia. And as Jia demonstrates in the Adagio, she can belt out forte chords rather well. The bass registers don't dominate or anything, but sometimes they really rumble. The tense, almost jittery speed is most evident in the outer movements, and she seems to be in something of a hurry to finish the Allegro - to excellent effect. She takes the time througout the work to pay some attention to details, as with the wonderful, extended right hand run in the opening, but this is a hard, cool, modern-classical hybrid approach. Good stuff. So, too, is D845. And unsurprisingly, it is of the quick, tense, almost angry variety. It doesn't have the power of Lupu or the intensity of Gulda, but the opening movement moves forward at all times. Jia does slow down as appropriate, but these passages seem like respites before revving back up. The Andante poco mosso is plucky - and tense. The way she dashes off right hand figurations throughout is most captivating, and the slower music is dark, 'late' Schubert. The tense feel permeates the Scherzo, too, with Jia rushing through some transitions - again, to excellent effect. The propulsive Rondo wraps up some fine Schubert. Here's a D845 that offers a pretty strong contrast to the equally compelling but very different take from Michail Lifits, to stick with other young(-ish) pianists offering some fine, modern Schubert. The disc concludes with three Preludes for Piano by the pianist's father. The brief pieces are decidedly post-war modern works. Some knotty, chord-heavy writing interspersed with some attractive melodic content, not least in the Homage to Schubert, which derives from D845, and some brief, sparse passages make me rather wish more than three short pieces were included. If Jia were to devote an entire disc to her father's output, I'd give it a shot. Sound is very good, but somewhat problematic. It's not ideally clear by contemporary standards, and it's as though the engineers couldn't capture Jia's dynamic range properly, so the slightly distant recording checks most but not all sonic boxes. The disc sounds slightly better through headphones, but the same issues persist no matter the transducer type used. I will keep an eye on this pianist, and when she records D894, I will buy with alacrity. Maybe she can record some Schoenberg or Prokofiev or Ligeti or Schnittke while she's at it. I'm not really a fortepiano kind of guy. Paul Badura-Skoda and Penelope Crawford both manage to make Beethoven work exceedingly on ancient instruments, Andras Schiff has much to say in Schubert in his ECM recording and in Mozart, and Ragna Schirmer's "Liebe in Variationen" disc has it formidable strengths, but the other recordings I've heard vary in quality quite a bit, with a tendency to not be favorites. 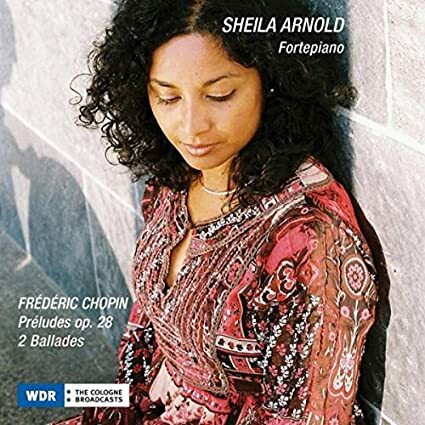 Sheila Arnold, she of the fantastic recent (for me) Schubert recital, really delivers in Chopin and joins this small cadre of artists. Using an 1839 Erard, obviously lovingly maintained, she delivers a knock-out recording. First, though HIP, the piano sounds big and full as recorded. Second, Arnold's playing is nimble and clear, and she takes maximum musical advantage of the quicker decay. As an example, the final tolling bass notes of the last Prelude take on something of a new meaning. Third, she knows how to deliver dynamic gradations at a world-class level on her chosen instrument. Some of the playing is nearly modern concert grand pulverizing, and she fluidly and expertly plays at varying volume levels. Her approach is definitely not of the effete, drawing room variety; the playing is at times aggressive, though Arnold knows when to back off (eg, the Raindrop). Too, she plays some Preludes rather differently. For instance, the second Prelude is much slower than normal, and is treated as a "death knell" (the pianist's description). The disc opens with the First and ends with the Fourth Ballade, and both are just wonderful, and played with drive and assertiveness and intellectualized romanticism. Arnold's playing may not be the most emotive and romantic playing out there, but it is committed and serious and communicative. This is one of the best fortepiano recordings I've heard. Some Schumann from twenty-something Da Sol Kim, winner of contests and collaborator of A-listers, recorded in 2015. The disc opens with the Arabeske. Kim plays with a lovely tone, and alternates between slightly gentle and nicely robust playing, in a style that can best be described as straight-ahead and highly polished. The combination works slightly better in the slower playing. The Humoreske follows, and the same traits are on display. The opening is just lovely, and as Kim proceeds he plays with impressive nimbleness and control, and his dynamic range is excellent. He never produces an ugly tone or anything that sounds edgy; everything maintains a slightly rounded sound. As the playing proceeds, as accomplished as it is, it sometimes lacks the nuance and individuality that other pianists may bring; it is mostly about the surface, sounding beautifully superficial. In some ways, it is the opposite style of approach from Kawamura, who seeks something more in her playing, though Kim's technique seems more assured. The disc ends with Kreisleriana. Here, Kim plays with a bit more bite in the opening, even generating some metallic playing, but it always stays controlled and precise. The second movement opens with great beauty and gentleness, but it sounds a bit reserved and almost too flawless, to the point where it's a museum piece. It's very Steven Osborne-esque in that manner, but perhaps a bit more polite. The Florestan passages, too, though fast, dynamic, sometimes quite powerful, and always admirably well controlled, sound perhaps too polite and superficial; the playing displays contained and prescribed passion. The entire disc is more or less like that. Da Sol Kim can definitely play, there's no doubt of that, and he doesn't really indulge himself too much. Given his strengths, I would rather fancy hearing him in some Rachmaninoff or Ravel. The release gets the deluxe DG treatment, with multi-lingual notes and an essay by Jeremy Siepmann, but this looks to be a strictly Korean market issue. Sound is basically SOTA, complete with audible damper mechanism noise throughout. In the current US political climate, this might sound risky, but I would prefer a Russian invasion! I like their passion and power. You can start a thread on the topic. 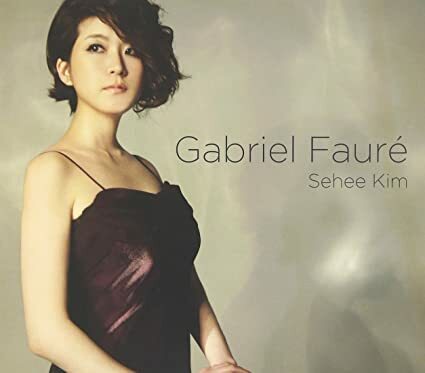 Sehee Kim's Faure. While issued by Warner Korea, Kim served as producer for this recording. In some ways, this disc is like a less posh Vanessa Benelli Mosell release. The thin booklet contains only a handful of glamour shots, all taken in a bare-bones studio, and the sound is not up to snuff. Dry, boxy, and small in scale, it does the playing no favors. Ms Kim studied at Juilliard and the Glenn Gould School, so she has the training, and sure enough, her playing is efficient and professional. But it also sounds colorless, flat, and almost metronomic. 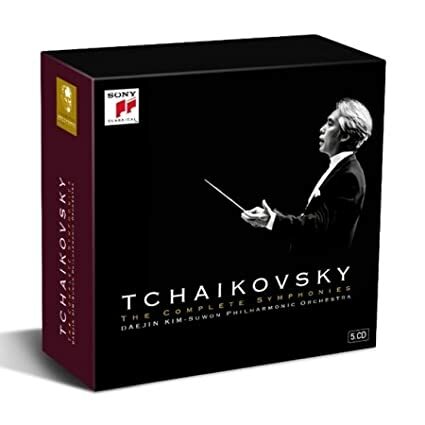 It's not really bad - truly bad recordings are rare - but there are much better Faure discs out there (eg, Thyssens-Valentin, Sanchez, Paik, Collard), so this just doesn't offer a whole lot. Hell, I'd take Stott over this. A whiff. Another Bruckner cycle. As if I needed another one. This is my sixth new one this year. As luck would have it, I hadn't had a chance to start in on Eugen Jochum's Dresden cycle yet (I've lived with his DG cycle for almost two decades and only now decided that it was time to hear the second cycle), so I decided with Hun-Joung Lim's cycle I would do A/Bs with an established master of the music. This may seem, and probably is, a bit unfair, but it gives me the opportunity to hear how a newcomer fares. Not that Hun-Joung Lim is a newcomer. The composer-conductor has been in the spotlight at least regionally since winning a composition award in 1974. He has studied Seoul National University, the Mannes School and Juilliard. He has held music director positions in Korea since 1989, sparked "Mahler Syndrome" in Korea at the turn of the century, and in 2014 he took over the Korean Symphony Orchestra. This cycle, taken from concerts recorded between late 2014 and December 2016, appears to be sort of a musical statement. All of the liner notes for this set are in Korean, except for the conductor and orchestra bios, indicating home market release only. I decided to go in symphony number order and I started with the First, starting with Lim and then moving on to Jochum. I should note that I did not do, and will not do, proper A/Bs in that I did not listen to the symphonies back-to-back; I like me some Bruckner, but that would be too much. Also, I may change conductor order on a whim. Using the Hynais Edition of the score, Lim's conception of the First is swift, but not too much so, as is evident in the Allegro. Also obvious is Lim's fondness for making sure winds get their due, and his attention to the violas, which are uncommonly clear. There's a sort of less severe Boulezian exactitude to be heard in the conducting. There's also a sort of Boulezian coolness. The taut Adagio, which sounds quite attractive, is nevertheless a bit antiseptic. Lim also keeps the sound contained. This is no incredibly grand Bruckner, but that's fine here. The Scherzo sounds taut and detached, and it was here that I noticed something else: with a good number of other conductors, one can hear some obvious influences on Bruckner - Wagner, Schumann, Mendelssohn - but here the music seems more abstract and almost (almost) sui generis. The Finale has plenty of drive and heft and controlled drama. Sound is good, but the bass is a bit undefined and plummy and the perspective is a bit more distant than some recordings, though that is not rare with Bruckner recordings. Lim starts off well. Jochum's EMI recording sounds exactly as expected based on memories of his DG recording: near perfect or actually perfect - and variable - pacing, large-scaled, influences made obvious but not overdone, great string playing, great blending of winds and brass, and unerring flow, with perfect transitions throughout. This is grand but not bloated Bruckner. Of the "new" Firsts I have listened to this year, this cedes only to Barenboim's latest, and then that may be a mood thing. I prefer it to Lim, but that written, some of the fine details that Lim brings out, and his cooler approach, are not to be sneezed at. I get the feeling this will be a standard type of outcome, but perhaps (hopefully) I will be surprised. Three hits in a row. I guess it's safe to say that Sheila Arnold is on my wavelength, or rather, I am on hers. Her Schubert disc is phenomenally good. Her Chopin disc, too. So's her Brahms. Here is a large-scale, quasi-symphonic recording of the Third Sonata to nearly rival François-Frédéric Guy's, whose new recording from last year bested all comers. (That was quite a feat given that the historical superheavys pretty much all recorded the work.) Everything just clicks for me. Dynamics, pacing, articulation, power, gentleness (how beautiful is that second movement? ), flow, rhythm: all sound just right. It immediately established itself as a comfort recording of sorts. Arnold's conception just perfectly suits my taste. Not everyone will agree, of course. The disc also has Clara Schumann's Romance in B Minor and the Brahms Op 119 works. The Schumann is a nice enough piece nicely played. The late Brahms pieces start off being played in a disarmingly simple way, resulting in austerely beautiful miniatures. Arnold doesn't aim for an especially ethereal or autumnal feel, rather steering the music into a style of playing that evokes Mompou, albeit in an abstract, more severe form in the first two pieces. The halting rhythm she uses in the first and third pieces is intriguing, and in the second Intermezzo she ramps up the volume and tension a bit as a sort of prelude to the intense, biting, and thundering Rhapsodie, which, though fuller sounding, evokes Kovacevich in the more forceful passages. A most thought-provoking end to a most enjoyable disc. Sound is superb, basically SOTA. I also dig the fact that Ms Arnold appears to own the copyright for all her recordings. A half-dozen Schubert sonatas from Julius-Jeongwon Kim. Mr Kim is a former child prodigy turned professor and performing musician who, in 2012, gave the second performance of Rachmaninoff's Fifth Piano Concerto before making the first recording for Deutsche Grammophon. The Fifth? It's a reworking of the Second Symphony by Alexander Warenberg done at the request of the composer's grandson. Earnest effort or something of a gimmick, Kim has one unique achievement under his belt. He also made some other core rep recordings for EMI in prior years, so he's been around the block, as most forty-somethings have. On to the recordings at hand. The first disc of the trio contains D157 and D894, meaning that my first exposure to Kim matches up in terms of repertoire, sans a small encore, to one of my favorite Schubert discs of the century so far, Arcadi Volodos' Schubert disc. While I really didn't expect Kim to match Volodos, and if ultimately he doesn't, there is much to enjoy in the first disc. 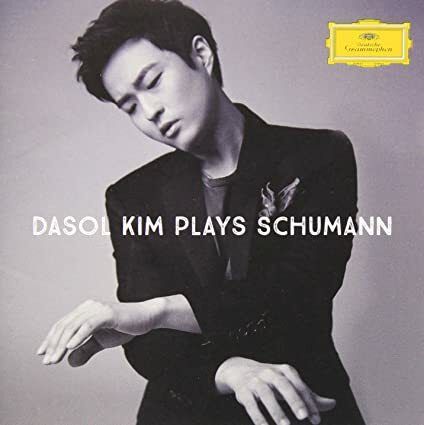 D157 starts off somewhat haltingly, with clipped chords and phrase endings, but once the Allegro ma non troppo moves into the more flowing music, Kim plays with nice drive, lyricism, and scale, and his melody is both lovely and almost eerily precise. The Andante displays some of the same style of playing, and comes off as decidedly and purposely unsentimental, and nearly cold, and Kim plays this way until about five minutes in, and then, bam, biting forte chords assault the listener's ear to surprising and convincing effect. Kim then plays the concluding Menuetto briskly and unsentimentally. It's certainly possible to play with a bit more lyricism, but the overall conception works. The great D894 follows. Here, Kim faced not only long-standing memories of Volodos, but also fresher memories of Sheila Arnold. Kim's starts off with an eighteen minute Molto moderato e cantabile, yet given the length, the tension of his playing makes it seem quicker than that, and again it sounds unsentimental. His tone is attractive, but it is possible to say the playing is not the most lyrical or endearing, though Kim's style has it's own appeal. He also keeps dynamics somewhat under wraps, never really thundering out forte passages like Arnold, let alone Michail Lifits. Again, it's another way to play, and I hasten to add that Kim does not sound at all small-scaled; it seems more about control. The Andante sounds both tonally pleasing and musically severe, with Kim playing with a controlled tempo, and here he ratchets up the volume of the loudest playing more so than in the opening movement. He sort of shifts the center of the work to the second movement, something I've heard many times in D960, but rarely in this work. The Menuetto remains contained and controlled, and dynamic contrasts are nicely pronounced, with Kim playing aggressively at times. Kim finally lightens up a bit in the Allegretto. While not slight or wispy, it seems a smidge sunnier and definitely more lyrical than the preceding movements. Overall, if the playing lacks Volodos' even more marked command, and Arnold's balanced magic, Kim's take is excellent in a very serious sort of way. The second disc contains D568 and D664, opening with the former. The sound seems a bit brighter, more metallic, and slightly more distant. Kim's playing in the opening Allegro moderato is all about nearly relentless forward drive and energy, and while not especially lyrical, Kim does keep the playing attractive before moving onto a tense Andante molto characterized more by insistent left hand playing than beautiful melody. The Menuetto, especially in the trio, sounds a bit more lyrical, but never strays far from the tenser overall conception. Same with the concluding Allegro moderato. Generally, I prefer D664 to be very lyrical, though there are exceptions. Kim does indeed play the piece more lyrically than D568, but he maintains a nice degree of tension and plays with some heft as appropriate in the opening Allegro moderato. He goes one better and plays the Andante in unabashedly beautiful and lyrical fashion, with hints of gentle urgency and an approximation of melancholy. The concluding Allegro starts off similarly, but quickly finds Kim playing with significant scale and power, though he keeps the tempo steady and just about right overall. The final disc contains D557 and D958. Sonics are more like the second disc, leading me to think the final two discs were recorded at the same sessions, though I could obviously be wrong. Anyway, D557 sounds brisk, crisp, and clear, with incisive staccato playing and light pedaling. The playing displays hints of lyricism, but is more about drive and bite, at least in the first two movement. Kim does lighten up just a bit in overall mood, if not entirely in delivery, in the Allegro, though even here the middle section is fiery and intense, almost an early test-run for D784. D958 ends the set. Kim's set arrived shortly after Ran Jia's superb Schubert single disc, and I decided to give her take a listen a couple hours before my first listen to Kim's take. Kim's tempi are slightly slower than Jia's in all movements but the Menuetto, but that doesn't stop Kim from launching the first movement with an at times intense, loud opener. Kim builds to satisfyingly loud, sharp forte playing with more apparent overall power than Jia, though the lower registers are comparatively light. His rhythmic drive is superb, too, and when he backs off, there's a bit more of a contrast than with Jia, who sounds more tense throughout. Kim's approach stays the same in the hard-hitting Andante poco mosso. Indeed, more than in D557, the playing here makes me want to hear what he might do with D784. Kim keeps up the almost aggressive, at times stingingly metallic approach right on through to the end, with the Rondo almost enough to grind down listeners more accustomed to more lyrical Schubert. In some ways, Kim's take is more involved and involving than Jia's, but on the flip-side, Jia adds more unique touches. Advantage Jia, but Kim ends on a strong note. Overall, Kim's Schubert comes across as intellectual, serious, maybe a bit grim, though when he arrives at one of the 'late' sonatas, he adds real intensity and drive to the mix. In this regard, he reminds me of Paul Lewis. Hopefully, he records more Schubert, because I wouldn't mind at all hearing how he handles D845, D850, and, of course, D960, but if this threefer ends up being it, it's a good set to have. (Here I refer to studio recordings, of course, because D845 is on YouTube, along with other works.) I wouldn't mind hearing more from Kim outside of Schubert, either. I think he could deliver some fine Brahms, and more serious fare from the 20th Century might also sound quite good. Oh, and I wouldn't mind if he recorded some Beethoven. Sonics for this strictly Korean market release are a bit resonant but superb, though I found I had to listen slightly louder than normal to get the piano to sound as natural as possible. In an unusual step for me, I listened to this set first in my main rig which is situated in a small, but dedicated and quasi-treated stereo room and then in my 2.1 channel home theater situated in a much larger room. I cranked the volume in the large space, and the sound seemed more natural and, as recorded, Kim plays with a big sonority. This thread is sorely lacking in photos of Yuja Wang! I didn't like the op 28 at all, I thought that the slower preludes were maudlin and lugubrious. Full of expressive gestures, like kiss curls plastered onto the music. The fast ones were sometimes aggressive as you say. The result is a disorderly and confused rag bag of short piano pieces. The Second. Lim uses the Hynais 1892 edition of the score. 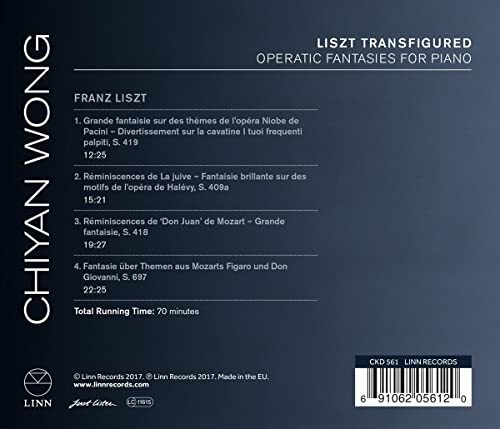 A bit cool and detached, the playing is less intense than some other versions and the Andante is sort of an ethereal, abstract haze, where Wagner can be heard in the violin section, and where Lim makes sure to not let the pace lag, even if he doesn't generate a great deal of intensity. The Scherzo is well executed and played, and the outer sections are nicely done, but the trio shines by hinting at later symphonies. Lim then ratchets up intensity in the opening pages of the Finale, before pulling everything back to a light and lyrical approach. 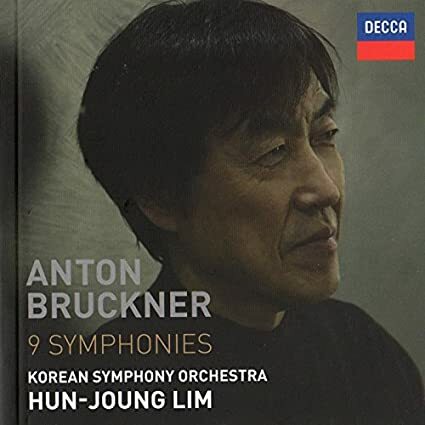 Lim (or Bruckner through Lim) seems to evoke some late Beethoven of the string quartet variety starting around five minutes in, then he hesitatingly moves toward the coda, which is a nice gallop. Sound is a bit cloudy but weighty. Jochum's recording is a bit quicker across the board, but in some passages it feels a bit longer while listening. To be sure, Jochum's coda to the first movement and the entire finale are more vital and intense than Lim's, but the inner movements sound slightly less compelling. This is solid performance, and I'd probably give the nod to Jochum, it's just not a favorite. 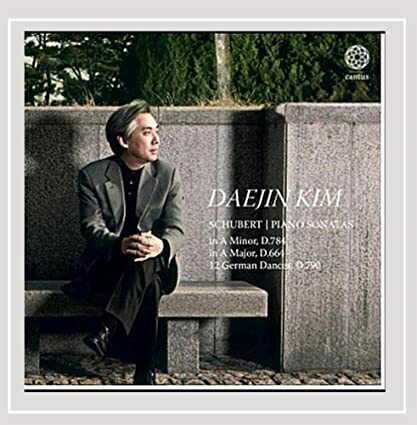 For my first exposure to Daejin Kim's music-making, I opted to go for some solo piano music. His Sibelius and Tchaikovsky symphony cycles are in the listening queue. Mr Kim is a Juilliard grad, Robert Casadesus International Piano Competition prize winner, and currently teaches and directs the Suwon Philharmonic Orchestra. The disc opens with D664. Kim's playing is cleanly articulated, and on the gentle, soft, and lyrical side, interpretively speaking. Kim never really introduces much in the way of bite or intensity in the Allegro moderato, which always works well with this sonata. His playing is very controlled and steady, as he moves forward with little in the way of personal rubato or idiosyncratic accenting. The Andante maintains the same traits, in slightly more laid back style. The concluding Allegro has a nice dance rhythm without overdoing it, and the playing retains an overall lyrical feel while becoming more animated and pointed. Playing throughout the sonata is a bit plain. But something happened as I listened. There's a story about how Artur Rubinstein said that the first time he hear Sviatoslav Richter, he initially found the playing to be nothing special, but soon tears were rolling down his cheeks. I didn't shed a tear, but as I listened, the simple, direct, unaffected playing really delivered. No, Kim is not Richter, but he doesn't need to be. D784 follows. Kim adds more tension to his playing, but as the Allegro giusto unfolds, he never really plays the fortissimos very loud, or at least the recording doesn't capture it if he does. What he offers, instead, is more rhythmic steadiness that makes the music sound funereal and perhaps bitter and sad in places, and forlornly heroic and celebratory in others. The Andante is paced just right but the bass playing growls a bit and the feeling is quite tense, and then in the Allegro vivace, Kim speeds things up a bit to deliver a fine closer. The sonata is very well done in a restrained and constrained sort of way, but it's not as relatively good as D664. The disc closes with the 12 German Dances, D790. Kim plays with a solid rhythmic sense and fine lyricism, and though dynamics sound a bit compressed, the occasionally growling bass is a nice touch. Overall, the disc starts off very strong, then drops off qualitatively, but the whole thing is characterized by thoughtful, unhistrionic playing. Superb, clean sound, with some breathing and mechanism noise audible. I wouldn't mind hearing his Chopin Nocturnes, but some of his conducting work is up next. The disc is available as an on-demand CD-R from Amazon for ten bucks. 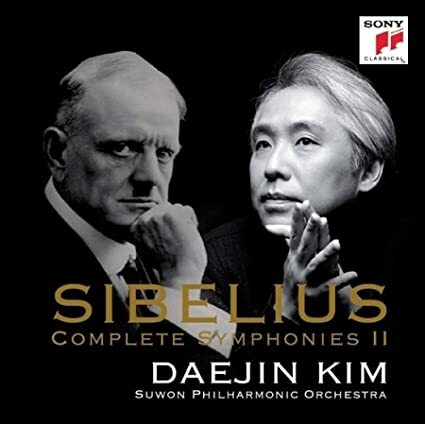 For my second exposure to Daejin Kim's musicianship, I decided to go with his Sibelius symphony cycle, taken from concerts with the Suwon Philharmonic Orchestra performed in 2015. I decided to start with the Second Symphony. Like a symphonic version of his piano playing, Kim is not generally given to excess in performance. He leads a reasonably taut performance of the work. He makes sure to bring out some nice details, like some of the horn playing in the second movement or wind playing in the third movement, and the finale is generally quite vibrant, though I could have used more bite from the trumpets - but that's not uncommon. The Suwon band plays very nicely, indeed, and the live sound is weighty but not ideally clear by modern standards. The Third. Lim uses the 1890 Raettig score. For this disc, I cranked the volume a bit more than for the preceding two symphonies, just because. Lim keeps it (comparatively) light and tight. The first movement is less mysterious and dark than athletic and almost 'classical' in demeanor. Wagnerian scale and brass bite are not as pronounced as in many other recordings, though the brass is not absent. The Adagio sounds more mysterious than the opener, and somewhat rarified, like a mightily scaled up intimate slow movement from a string quartet. The Scherzo, like the opener, is somewhat light and tightly controlled and energetic. Lim concludes with a somewhat light Finale, with some almost scaled up dance-like playing. I can't say that this is my favorite recording of the piece, but it most definitely has its attractions. Jochum is more conventional and mostly predictable. And weighty. The first movement is grand and mysterious and moves along at a nice clip, ending in an intense coda. The Adagio is similarly weighty and grand. The Scherzo, though, is a bit lumbering and sort of puts the brakes on the forward momentum of the first two movements. The Finale is driven, taut, and hefty, a Brucknerian delight. Still, I can't say that this rates as my favorite of new recordings for this year or overall. This complete set of Beethoven's piano trios is included in The Asian Invasion thread because cellist Sung-Won Yang is Korean and an exclusive Universal Music Korea artist. Also, the ensemble takes its name after the Joseon Dynasty painter Jang Seung-eop, better known as Owon. Really, though, this set could be better described as part of a French Invasion since all members of the ensemble attended the Paris Conservatory. Prior to reading this little tidbit of information, I had no idea what to expect. So I listened. My experience with French chamber music players led me to think the playing might tend toward the light, often quick, and elegant. That's something of a stereotype, I know, but starting with opus one, number one, this proved true - to the benefit of the music and the listener. For a good long time, I've relied on the BAT for complete cycles here, and a variety of one-sy, two-sy discs, and while I dearly love the BAT's playing, I kind of wanted something new and fresh. I got it. Imagine playing basically as elegant as the BAT's, but with more energy and drive and panache, and that's what you get with the Owon. Plus they throw in some rambunctiousness and fieriness (I hesitate to write gruffness, 'cause ain't no gruffness to be heard). This is young Beethoven, and there's no mistaking that here. Next up is the third trio, and it's probably even better. The disc ends with the Gassenhauer Trio, and it continues on the trend. As I listened, I found myself tapping my toes, so groovy is the playing. A most successful first disc. The second disc is just as successful. Opus one, number two opens a bit slow and contemplative, but not too heavy, and then is light, sparkly fun in the faster movements, with a light and nearly schmaltzy slow movement. The violin playing here is especially good. The Ghost sonata blasts out of the gate, slows a bit, then moves into bold, rich, weighty but not heavy, and energized playing in the outer movements, and suitably slower, more expressive playing in the slow movement. The third disc opens with the Archduke Trio, and here the Owon deliver a bit more scale and perfectly judged tempi throughout. The Allegro Moderato sounds just right; there's no better way to write it. As each player comes into focus, they deliver, with corporate execution at the highest level. Op 70/2 ends the disc, and once again, the Owon deliver energy and panache in perfect proportion. The Allegretto sounds especially vibrant at times. The fourth disc opens with the Kakadu Variations, and as before the ensemble play with vibrant energy, and a few times they allow themselves virtuosic displays, as with Yang near the end. The set closes out with the Op 38 transcription of the Septet. (That means Opp 44 and 63, as well as the early WoO works are excluded, so it's not a truly complete set.) Once again they deliver. This work, and the original, is too long, and even the Owon can't entirely help that, but they can and do play with admirable energy and bounce, and the Menuetto, one of the most delightful things Beethoven wrote, sounds more delightful than normal, with the pianist, especially, adding some sparkle. That's four hits out of four discs. All three of the artists are top-notch, with no one the star; the music is the star. As it should be. That written, Emmanuel Strosser's pianism is very much in the French tradition, and most enjoyable, and I just may have to hunt down some recordings by him, maybe starting with his Schubert. I'm not sure I really want or need a go-to complete set of the trios, but if I have one, this is probably now it. I sure hope I don't come down with an urge to start listening to more LvB piano trios. Or maybe I do. I mean, Sonig Tchakerian plays violin for Trio Italiano in their cycle, so, you know, there's that to consider. Sound for the set, recorded in 2013 and 2014, is fully modern and fully satisfying, but varies slightly depending on venue and recording date. At times, one might wish the piano were a little cleaner and more forward, and at other times not. As an added bonus for some, the set comes with a two-DVD documentary with performance clips. After attending some of the Van Cliburn semi-final rounds last week and hearing some stunning Asian pianists, I may have to adjust my preference for Russians! Although he didn't make it to the finals, Han Chen was extraordinary. Dasol Kim's recital was superb, too. Today I received this new Linn recording--wow! It is full of hair-raising virtuosity. Wong makes a number of changes to the printed text--embellishments, cadenzas, etc., and the results are stunning. Great sound, too. Next up from Daejin Kim, Tchaikovsky. I decided to start in on his cycle with the rarely listened to (for me) Third Symphony. Much as with his Sibelius Second, Kim leads a direct performance with little to nothing in the way of interpretive excess. He keeps tempi taut, rhythm bouncy in the faster movements, dynamics well calibrated - nothing is dramatically hushed or excitedly loud - and the band plays excellently, with a high degree of executive precision. The somewhat restrained Andante elegiaco is the heart of the piece here. The performance is quite satisfying. It doesn't have that something extra that Yuri Temirkanov's take does, that flexibility and uniqueness, but, depending on taste, that may be a good thing or a bad thing, or maybe just a thing. The 2013 live recording is in fully modern sound. I also know that the Thursday evening show started at 8:00 PM since day of week and time info is included in the recording detail. I think that's a first in my collection. The Fourth. Lim uses the Haas edition. Right out of the gate, Lim's reading is larger-scaled and more conventionally Brucknerian that the preceding three works, though it retains a certain coolness. The brass do good things, as do the low strings, and Lim keeps the playing taut through the opener, with fully satisfying dynamic range. The Andante maintains all the same traits as the opener, but slows things down. There's no real sense of awe or profundity, but the detachment works. The Scherzo sounds both peppy and beefy, and as in earlier works, Lim makes sure the winds get some love, with the flutes, in particular sounding uncommonly clear and sweet, while the trio sounds very pastoral in its relaxed presentation. The Finale returns to the large scale of the opening movement. It does sound a bit episodic, but overall, it's very well done. Jochum's reading of the opening movement is both smaller in scale but more impactful, helped by the clearer sonics. But it also has a bit less forward momentum until the end of the movement, where Jochum generates some heat. 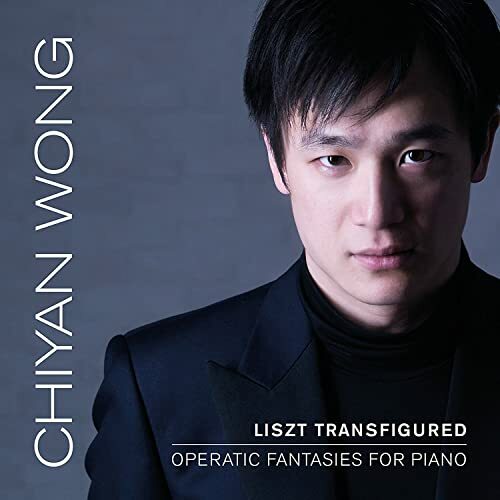 The Scherzo works better than under Lim, with more depth, and the outer sections are more energetic and peppy, though the trio is not as appealing. Jochum handles the Finale better than Lim by delivering more smoothly executed transitions, and, at appropriate times, generating some fleet yet potent excitement. It's not my favorite Fourth, but it gets the nod over the still good Lim.